SOLIDUS SOLUTIONS provides intelligent solid board solutions for each customer. By combining our craftsmanship & precision, we are able to meet our client’s needs. We create solid board for highly effective retail displays and point-of-sale (POS) material. In collaboration with the brothers Carsten and Christian Wutke (also known as Wutke & Wutke GbR), SOLIDUS SOLUTIONS has developed an All Weather Board solution for “the Vordermann placard”. Placards are an important campaigning tool in Germany and around the world. We tried to create an evironmentally friendly and cost-effective solid board solution which provides the answers to meet the specific requirements of election campaigners. By using our PACKLINE (white PE/brown PE Sapino 750 gsm), we were able to develop a solution for “the Vordermann placard” which is environmentally friendly as well as being quicker to assemble, dispose and above all cheaper than existing placards. The Vordermann placard consists of at least 90% recycled wood fibres, and its use therefore largely forms part of a closed-loop materials life cycle. Vordermann placards are printed by the offset method – this enables up to 18,000 placards an hour to be produced on one printing machine. It can be produced using a cheaper and faster printing process. This also means that it saves space and is cheaper to ship. 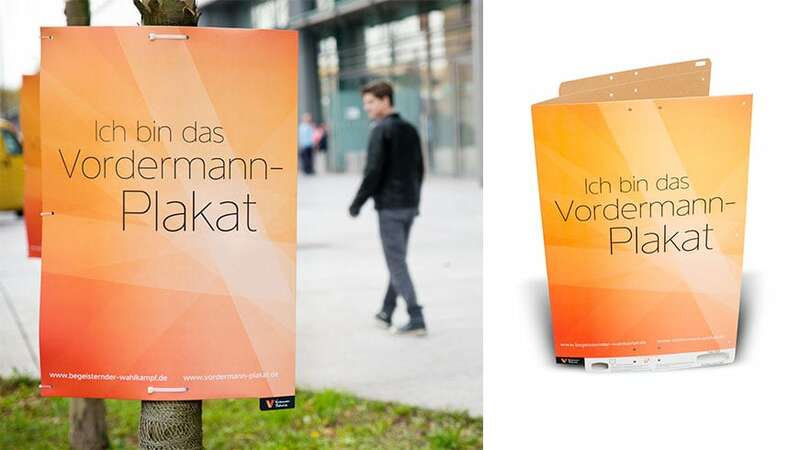 Vordermann placards have already proved their worth hundreds of thousands of times over in elections in Germany, Luxembourg and Austria. Vordermann placards can be classified on an EU-wide basis to grades 2.10 or 2.11 of the “European List of Standard Grades of Recovered Paper and Board” according to EN 643, and consequently disposed of as waste paper. Interested in our All Weather Board solution? SOLIDUS SOLUTIONS booked a nice order with the customer “Koninklijke Wöhrmann” in Zutphen (the Netherlands), who produced the 2014 “Boekenweek gift”, with our solid board. In the Netherlands, the Boekenweek (Book Week) is an annual “week” of ten days dedicated to Dutch literature. It has been held in March annually since 1932. Each Boekenweek has a theme. The beginning of the Boekenweek is marked by the Boekenbal (book ball), a gathering that is attended by writers and publishers. Events are held across the country during the Boekenweek, such as book signing sessions, literary festivals and debates. Each year a well-known writer, usually Dutch or Flemish, is asked to write a book, usually a novella, called the Boekenweekgeschenk (book week gift), which is to be given away during the festival. 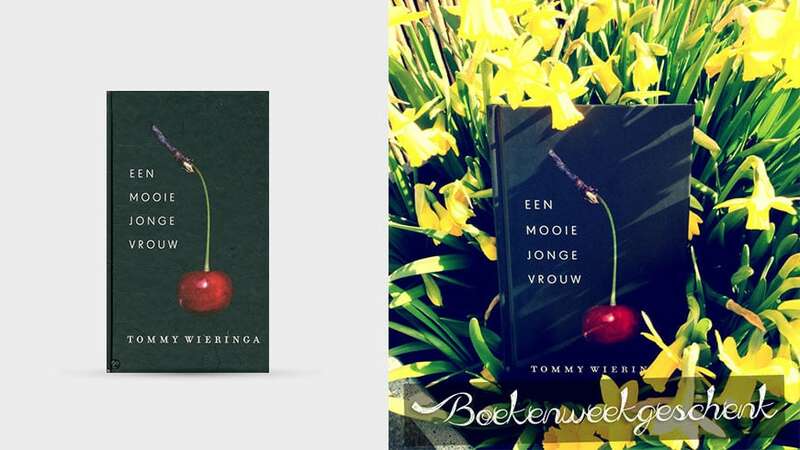 In 2014, Tommy Wieringa (known for his novels “Dit zijn de namen” and “Joe Speedboot”) wrote the book “Een mooie jonge vrouw” for the festival. The hardcover of the book was made with solid board from SOLIDUS SOLUTIONS (1.5 mm grey board). For the first print of 750.000 books, we supplied 1.5 million plates of our board (about 35 tons). Interested in our solid board for hardcover books?